Bring unparalleled style and sophistication to your tabletop with the Tuxton BEX-1604 DuraTux ivory (American white) 13.5 oz. swirl china ramekin / souffle! This ramekin features a sleek, polished style with a trendy, swirled exterior to create a classic, yet contemporary appearance. Its warm ivory coloring brings an elegant look any tabletop setting while also providing superior contrast, making your most popular offerings seemingly pop off the table for an eye-catching appearance. From decadent desserts and sample appetizers to fresh fruit and veggies or sides, your culinary creations will look as great as they taste when served in this attractive glazed dinnerware. Combining classic style, bold shapes, and elegant colors, the Tuxton DuraTux collection creates an unforgettable tabletop presentation for any setting. For nearly 20 years, Tuxton has been an industry leader in creating outstanding china by providing products that last, without sacrificing aesthetic appeal. 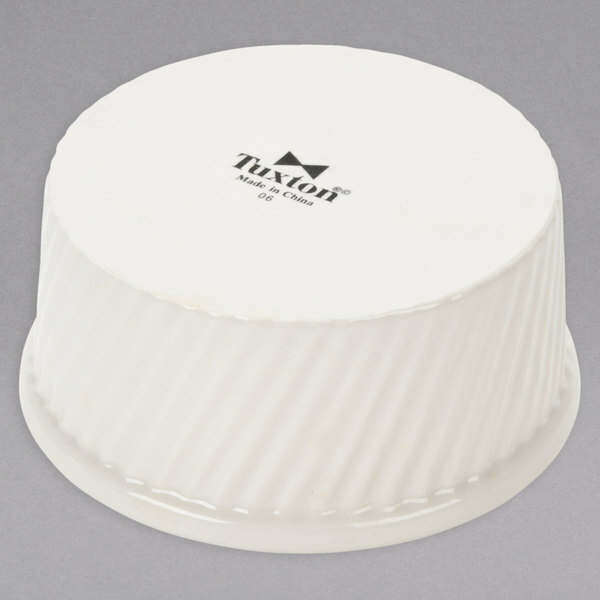 Featuring a form that is as sturdy as it is stylish, this ramekin is fully vitrified to prevent moisture absorption. This durable piece stands up against breakage, chipping, and scratches commonly caused by the wear and tear of every day use. No matter what you're serving, the stylish design of this DuraTux 13.5 oz. 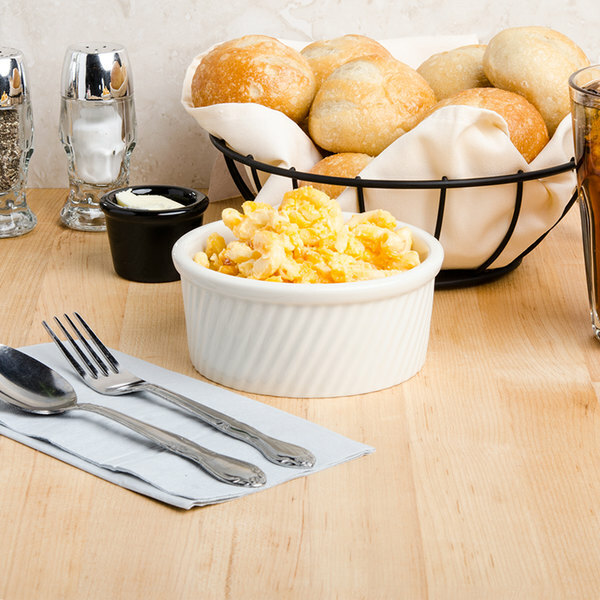 china ramekin / souffle is the perfect canvas for your most popular offerings. 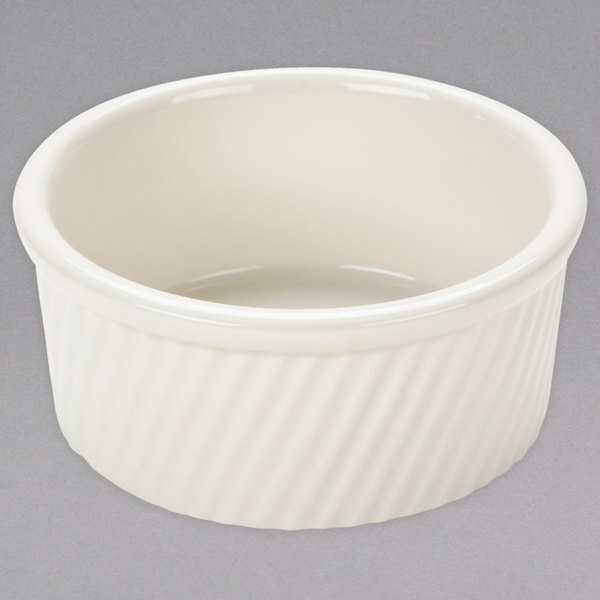 This ivory swirl ramekin is great to hold sauces or garnishes. I use it to make souffles because it is 16 ounce so it can hold a sufficent amount.